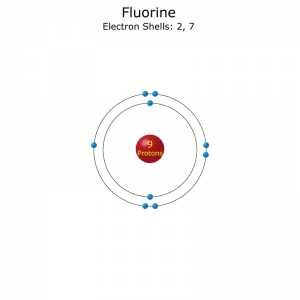 The outer shell of a fluorine atom contains 7 electrons. This means it has one less electron than needed to complete the shell. 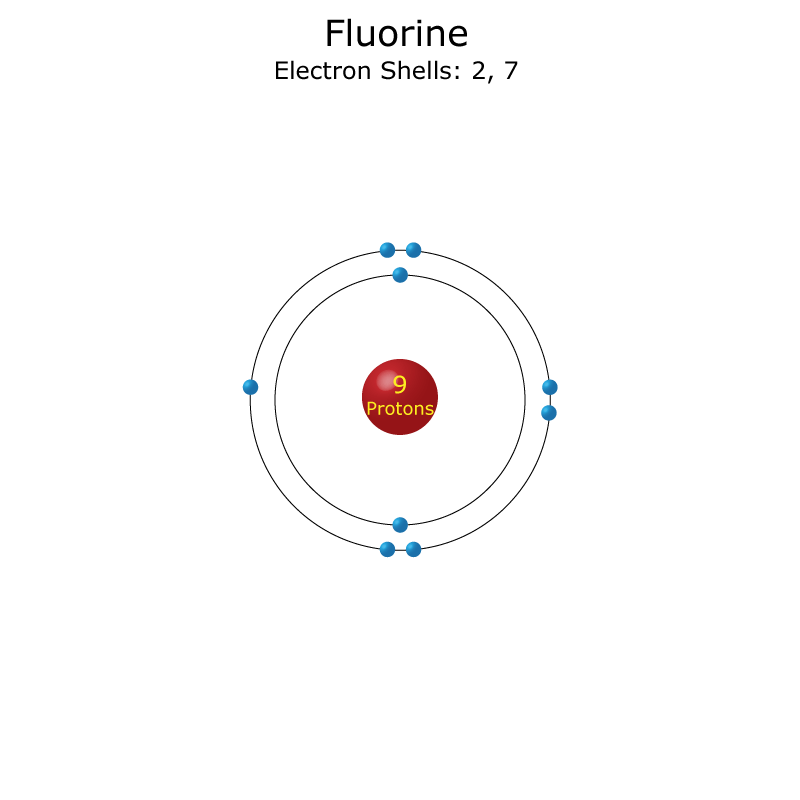 This gives fluorine a -1 valence. 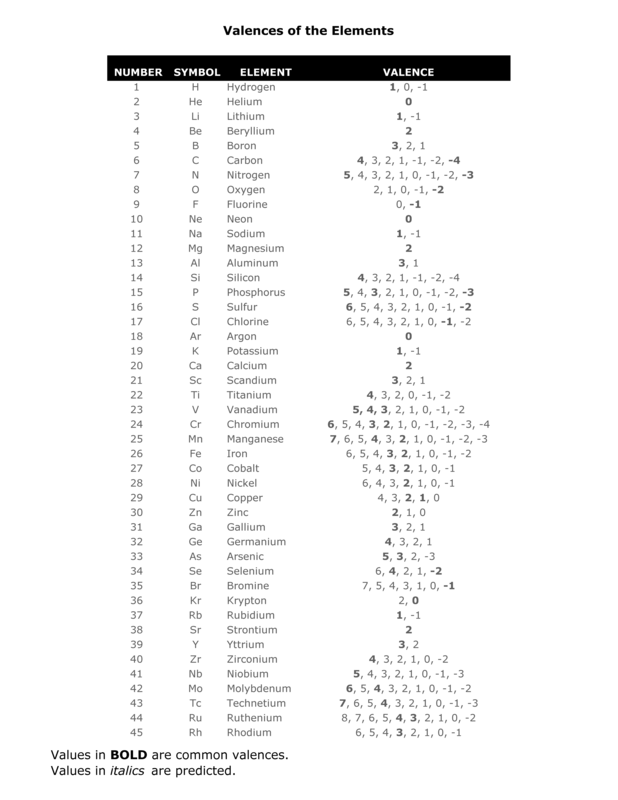 This element Valency PDF is a downloadable version of the Valences of the Elements table. As in the table, the most common valences are in BOLD text where values in italics are theoretical values based on periodic table trends. This table requires three sheets of paper to print. If you prefer a more compact version, this information is available in periodic table form. There is a Color Periodic Table of the Elements or a Black and White version. A simpler version listing only the most common valence charges is also available. This is page 1 of the PDF file. It contains the valences of the first 45 elements. Elements 46-118 can be found in the PDF.